Although it’s been over 10 years now since we last journeyed through space with the crew of the starship Serenity, fans of Joss Whedon’s cult classic Firefly television series have never given up hope that we’d see the crew of Captain Malcolm Reynold’s starship one more time. While Star Wars fans and Trekkers might be loyal, it’s fair to say they ain’t got nuthin’ on Browncoats when it comes to fan devotion. And while this isn’t news of a Firefly revival (one day, kids… one day… remember, you never thought you’d get a seventh Star Wars movie either) we’ve got the next best thing. The good folks at Loot Crate are about to make all you Browncoats out there very happy, as the company has just announced that they will be releasing a new bi-monthly service with QMx (Quantum Mechanix) called the Firefly Cargo Crate. So exactly what can fans expect from the Firefly Cargo Crate? For starters, it’ll be delivering five to seven exclusive Firefly collectibles, wearables, and gear, all of which are valued at over $65. As part of this crate, where the theme is appropriately “Everything’s Shiny,” fans will be able to get an exclusive figure of the “Hero of Canton” himself, Jayne Cobb, which you can see below. In short, this is a crate made for Browncoats by Browncoats. 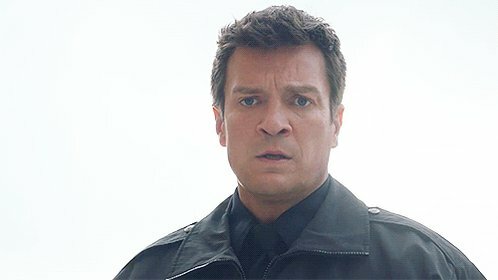 Shy of news that Nathan Fillion and company are suiting up again to for Serenity 2, this is enough to make any Firefly fan’s day. You can sign up now for email updates, and be the first to know sales information at lootcrate.com/fireflynerdist.